Also see our Board of Directors & Adjunct Faculty. Colleen grew up in south central Washington State, married and relocated to Western Washington in 1992. With her husband they raised 6 children. Colleen lives just down the street from the Wolf Camp home office at Blue Skye Farm, keeping track of camp registrations, watching the farm when Kim & Chris are off teaching, and making sure sign-in/sign-out runs smoothly at camp. Besides assisting Wolf Camp instructors all summer, Colleen also substitutes as a para-educator with the Puyallup School District during the fall and winter months. Amy received her Bachelor of Arts degree from Wuhan University of Technology and went on to receive her Teaching Certification before working for 10 years as a pre-school and kindergarten teacher in Shanghai and now in Issaquah. She also worked as a marketing specialist with Ingersoll Rand for five years prior to changing her career to education. Amy moved to the Seattle area last year, and she loves the beauty of nature, as well as studying nature. Her interests include running and hiking outdoors, as well as volunteering with trail runs in her spare time. She is an accomplished marathon runner, and loves hiking the mountains of the area. 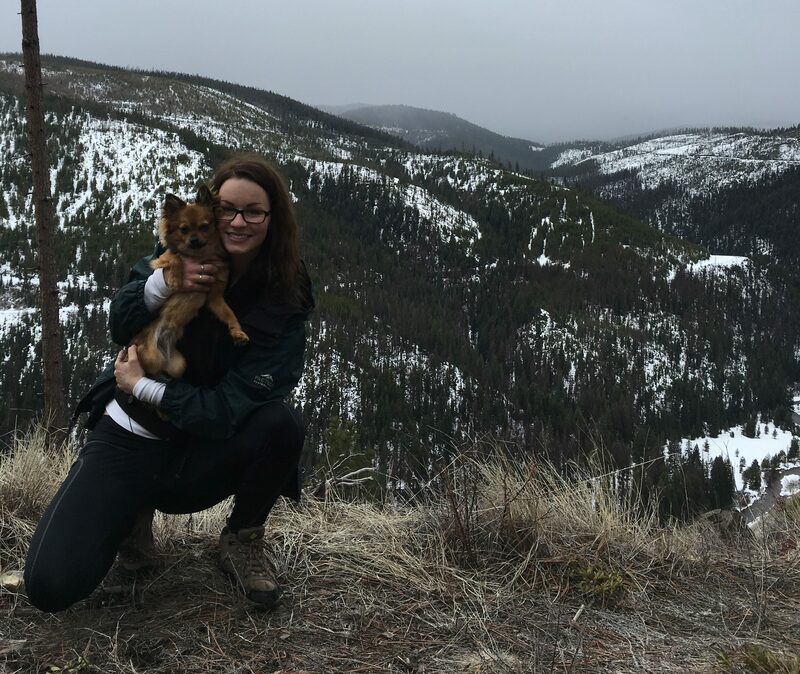 Her passion for the outdoors, her teaching experience, and prior work in marketing gives her the perfect blend of skills needed as a director for Wolf Camp. Say hello this summer! Braden Ploger first started at Wolf Camp when he was 8 years old. He finished the Conservation College Earth Skills Teaching Apprenticeship by the time he was just 16. He has always loved the outdoors and has been going on backpacking trips for as long as he can remember. He is currently finishing up his finance and economics degree at Western Washington University, while also teaching home school workshops on earth skills to all ages. He came on board as our finance director in 2018 to help Wolf Camp budget for its transition into the Conservation College. 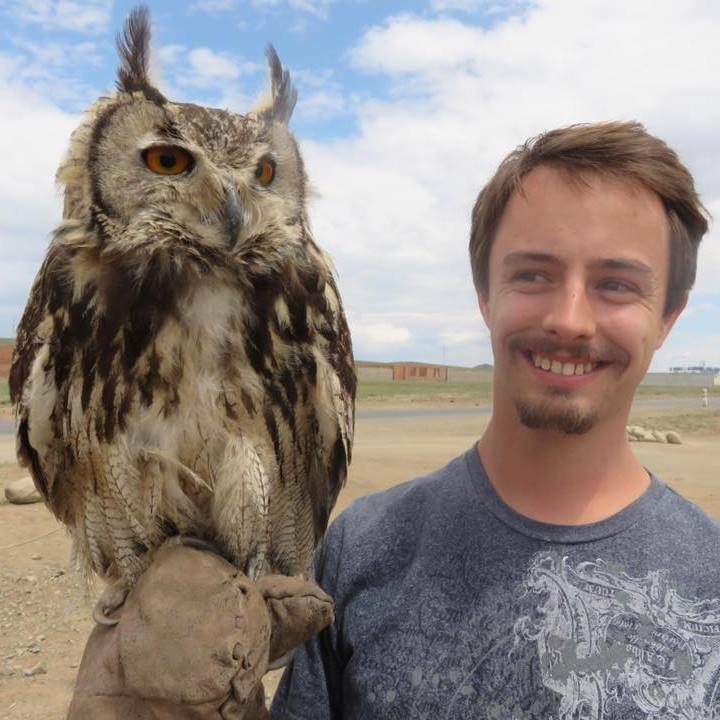 Patrick Wiley first came to Wolf Camp as a camp participant in 2004, he completed our Naturalist Mentoring CIT course in 2006, and our Earth Skills Teaching Apprenticeship in the summer of 2007. In 2008, he served as an assistant camp instructor and became our youngest-ever lead instructor in 2009. Patrick holds a variety of accolades including certification in Outdoor Leadership from Whitman College; Permaculture Design Certification from Oregon State University; Wilderness First Responder medical training from WMI; Storytelling and Presentation Mastery from NLP Pacific; and he achieved Level III Track & Sign Certification from Cybertracker, Int’l at his evaluation in October, 2017. Patrick received a B.S. in Religious Studies from the University of Oregon. Most recently, Patrick received his M.S. in Conflict and Dispute Resolution from the University of Oregon School of Law. As part of his studies, he completed coursework and certification in mediation, facilitation, negotiation, and collaborative governance. 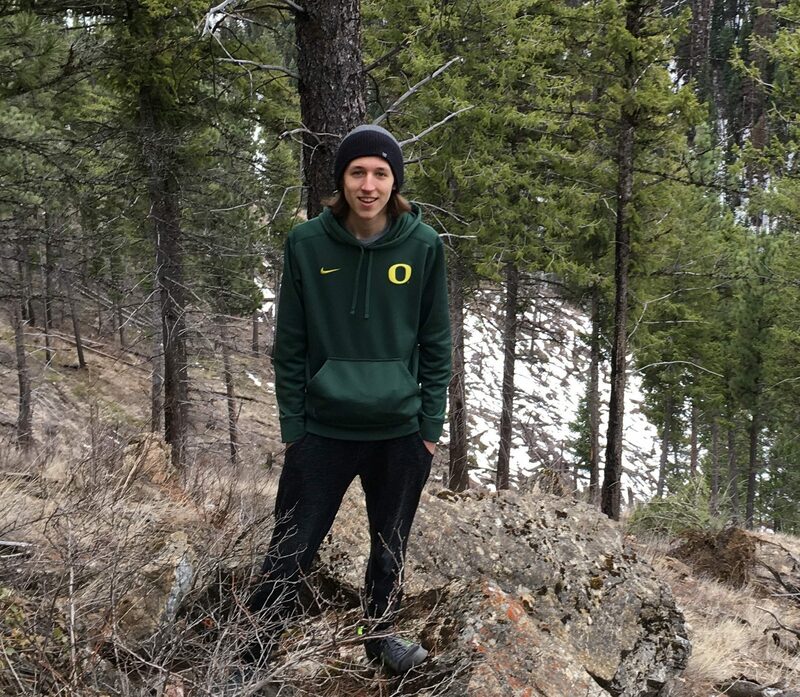 His graduate thesis focused on blending Social Psychology and Wildlife Management to write more effective wildlife policies. For a personal note from Patrick, check out our Apprenticeship Testimonials and scroll down to 2008. Hannah began her Earth Skills Teaching Apprenticeship at Wolf Camp in 2013 and graduated as a lead herbal instructor in 2014. She graduated from the University of Oregon in 2014 with a Bachelor’s Degree in Languages, and has continued expanding her herbal education ever since. 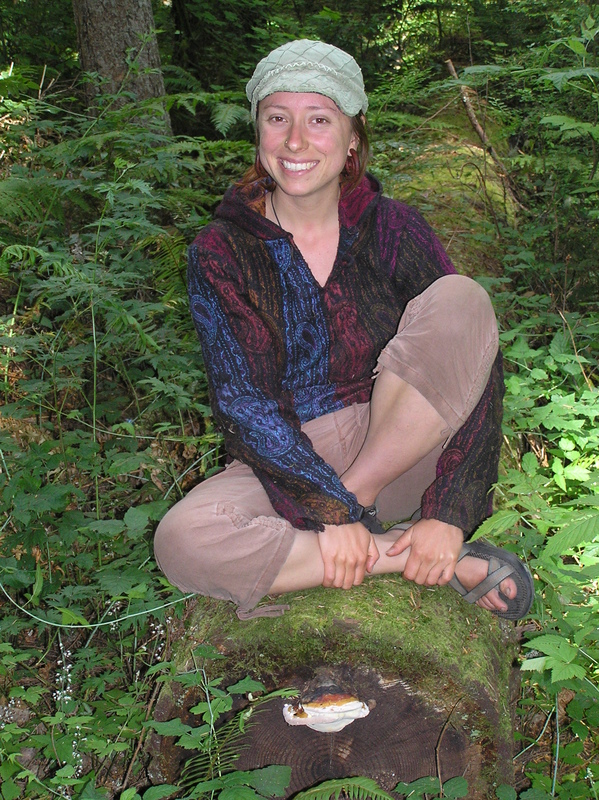 Hannah studied herbalism at the International Integrative Educational Institute (IIEI), the North American Institute of Medical Herbalism (NAIMH), the East West School of Planetary Herbology, as well as personal studies from herbalists such as Matthew Wood, Jim Mcdonald, Michael Moore, Rosemary Gladstar, and beyond. Hannah was also Product Coordinator for Mountain Rose Herbs from 2016-18. As an outdoorswoman and an Oregon native, Hannah loves exploring the beautiful wild places of the Pacific Northwest. In her free time, she can be found in the outdoors, knitting, gardening, and learning about plants. Charlie first came to camp in 2006 after having attending Hawk Circle in Cherry Valley, NY, and has since completed all of our summer courses, including the Ultimate Tracker. He completed our week-long Naturalist Mentoring CIT course in 2007 and our summer-long Earth Skills Teaching Apprenticeship in 2009. Charlie is the most amazing lead guitarist and story teller. He re-invented our Epic Fishing Camp in 2010 for which he is now our perennial lead instructor, and has lead and co-taught most of our other camps including Wilderness Survival and the Stone Age Artisan. Charlie graduated from the French Culinary Institute in San Jose, CA in 2011 and his skills as a chef have transformed our meals at Wolf Camp into gourmet fair. Charlie also developed our Backcountry Gourmet Cooking Class which launched in the spring of 2013. He is also co-developer of the Wilderness Wannabies Comedy Tour, and most recently, he earned a Level I Track & Sign Certification from Cybertracker, Int’l in 2013. For a personal note from Charlie, check out our Apprenticeship Testimonials and scroll down to 2009. Megan completed the bulk of her Earth Skills Teaching Apprenticeship in 2006 and returned to complete her training and lead instruct Wild Chefs & Herbal Medics in the summer of 2008. She has studied permaculture with Dave Boehnlein, Toby Hemenway and at the Sustainable Agriculture Program at Edmonds Community College. She has pursued herbal education for over 10 years on her own and with various teachers. Most recently she completed her 1st year of the Professional Herbalist course at IIEI with KP Kalsa in 2014 and is currently pursuing the Professional Herb Course with East West School of Planetary Herbalogy. 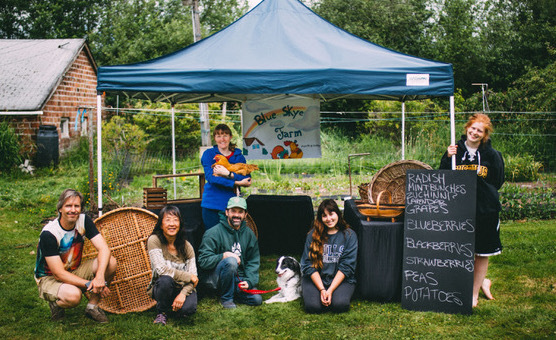 She also completed the Hunter Gatherer Immersion Course with Raven’s Roots in 2015 where she learned bow making and wild food harvesting all over Washington State. Megan has worked with kids for over 10 years as a caregiver for all ages. She also had the opportunity to volunteer at her daughter’s Waldorf Preschool for 2 years where she found her love for Waldorf education. Her interests include cooking, hiking, foraging, and having adventures with her family. She lives on Vashon Island with her partner Gavin and their 5 year old daughter, Runa, a seasoned Wolf Camper. For a personal note from Megan, check out our Apprenticeship Testimonials and scroll down to 2006. “Nature has ever been at the forefront of my mind. Though as a child I was shy with people, I was eternally curious about the plants and animals around me, regardless of shape or size. This biophilia, as Edward O. Wilson called it, grew as I did. The more I learned, the more I loved. The more I loved, the more I wanted to protect these things. “This desire led me to train and care for rescue dogs, and later to volunteer at a local nature center. Working with and learning from my mentor Vanessa, my perspectives were reshaped. I always sought to help by working with animals directly, but there, I was witness to the pivotal role of education in determining the fate of animals and their world. All too often people fear what they do not understand, and what people fear they will see no need to look after. “After high school, when studying with Where There Be Dragons in Nepal, I came to an even sharper realization. Just as I saw the beauty of the land mirrored in the open-hearted ways of its people, and found my own heart opening in return, I also saw for the first time the stark reality of human suffering – of exploitation, pollution, and poverty. And I understood my own species is equally in need of love and healing as the animals I cared for. Thomas has always been an outstanding teacher and practitioner of outdoor skills, not only since attending our survival camps in 2012, but throughout his childhood participating in 4H Outdoor Adventures, volunteering with environmental restoration projects professionally engineered by his father, and completing our Earth Skills Teaching Apprenticeship while still in high school. “I always told my dad that I didn’t want a “boring desk job”. I guess that’s how I ended up as a wilderness survival instructor. It’s a perfect fit for me because I can combine my love of the outdoors with my knowledge and experience.” Thomas is diligent in his risk management, out in front of any need to be disciplinary, and very popular for kids to tackle. Even with his kind young face, campers always think he’s in his 30s. We also have a feeling that when he’s in his 30s, campers will think he’s in his 20s. Thomas currently lives on the Training Ship Golden Bear while attending college at the California Maritime Academy. Heather started at Wolf Camp when she was 15 years old, attending the Backcountry Leadership training course. She has loved the outdoors her whole life, and has been going camping and backpacking since she was a small child. Heather attends Cornell College, majoring in biology. She’s a black belt in Shudokan Karate, which she has been doing since she age six. Heather completed the Conservation College Earth Skills Teaching Apprenticeship in the summer of 2016 and is one of our most organized and inspirational camp instructors, leading everything from morning workouts to wildlife tracking forays. Definitely check out loganpatricknelson.com and prepare to be amazed by Logan’s professional work, fresh out of college. We hired Logan just days after he graduated from Greenville College with a B.A. in Digital media to become our camp videographer in 2017, but what especially amazed us was his natural teaching ability. Simultaneous to recording everything that was happening at camp, he completed our Earth Skills Teaching Apprenticeship, and often “saved” even a couple of our experienced teaching staff when groups turned out to be a bit less disciplined than expected. He came out from behind his camera that first summer to become one of the most personable, supportive, humorous and skilled teachers we have ever seen. As a kid, Wren discovered a love of the outdoors from hiking with her dad. She grew up kayaking in Puget Sound and exploring the woods around her family’s cabin on Anderson Island every summer. She participated in her middle school’s outdoor program for three years on annual camping and backpacking trips, as well as snowshoeing. Wren was born and raised in Seattle, and her favorite places to be are in mountains and old growth forests. Wren graduated from the Conservation College Earth Skills Teaching Apprenticeship and began instructing camps in 2016. Born into an artistic family, she loves spending her time drawing wildlife. She’s currently attending the Evergreen State College, and her dream is to learn how to live an environmentally sustainable life. Andres started at Wolf Camp when he was 13 years old, taking our Backcountry Leadership training course, and since then he’s attended every summer to complete every course while also starting to mentor kids at day camps. 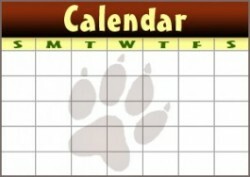 Andres relates that Wolf Camp was amazing for his growth both at home and in the world. He grew up in Chicago with few chances to go out into nature, so he moved to Seattle in the summer of 2015, excited to be closer to Wolf Camp. Andres talks about how Wolf Camp helped him discover and learn more about nature and how to appreciate everything about it. This past summer he became an instructor and excelled in teaching and at working on a team. Andres says that the leadership skills he gained here helped him to better vocalize his thoughts, something that made him successful as he simultaneously completed aviation training (flight school) this summer, passing his graduation test not just by flying absolutely alone in a plane out of Renton Airport and over Lake Washington, but also being chosen by Alaska Airlines to travel out to Oshkosh, Wisconsin and meet its CEO, Bradely Tilden. Andres is also a great artist, worked at the Seattle Art Museum, and is currently attending Seattle University studying architecture. Along with her love for the outdoors, Jacquelyn also enjoys learning different things and challenging herself with new situations. Through playing on a soccer team in high school, and being part of a restaurant staff for 4 years straight, she learned how to solve problems quickly and effectively, not only on her own but also as part of a team, working through the ups and downs of professional relationships, something few young people can fully claim. Those roles along with nannying also helped to strengthen her communication skills, leadership and responsibility, but what might have prepared her so well to become a Wolf Camp instructor was, in fact, instructing fun summer classes for youth with an organization called College for Kids, which has been run by Itasca Community College since Chris attended those kids classes (guitar and Spanish as he recalls) back in the 70s! Jacquelyn received her A.A. from Itasca before coming out to complete the Earth Skills Teaching Apprenticeship here at the Conservation College. Growing up in the woods of northern Minnesota gave Drew a true appreciation for the outdoors. Throughout his childhood and teenage years, he and his family lived on a lake 30 minutes outside of town, a place everyone nowadays just refers to as “the cabin.” As kids Drew would always be in the woods building forts or fishing on the lake with his brother and dad. As he got older those adventures turned into camping and fishing trips to Bowstring, Lake Winnibigoshish, and the Boundary Waters of Minnesota and Canada. Those old-school experiences shaped Drew’s love for nature and the outdoors and led him to want more. As an employee at the Grand Rapids Gun Club for 3 years, Drew gained an excellent sense of his surroundings to ensure a safe environment for customers. He learned a great sense of responsibility by cleaning, loading, and closing at the end of each work day. He enjoyed working outside in all weather conditions, something not to be taken lightly in northern Minnesota, and he says he would love to do it all again. Drew also worked as a cashier and that was clear during his apprenticeship at Wolf Camp as he had the most friendly and effective communications skills with customers and employees. Everyone who knows him attests to how dependable he has always been, closing or opening the store back home, cleaning and stocking and and as we found out last summer, cooking meals in the kitchen, and especially whenever working with children at camp. Marco started attending day camps as a wee 7 year old, completed our Naturalist Mentoring CIT training in 2014, and our Earth Skills Apprenticeship in 2015. He is a highly skilled survival instructor and a delight with youth at camp. Marco currently attends the Worcester Polytechnic Institute in Massachusetts and returns every summer to make Wolf Camp wonderful. Enough cannot be said about Ella. We’ve said since she completed our Naturalist Mentoring CIT program at age 14 that she’s an old soul. Ella has tons of family outdoor experience in Port Townsend, including several sailing trips to/from Hawai’i, she has won scholarships for studying abroad in Europe, she has won top national honors in Robotics competitions, and the list goes on. Although we still legally need to place an older assistant with her since she’s still a minor, even our 20 and 30 apprentices are amazed by her acumen teaching youth and adults, with intuitively excellent group discipline, risk awareness, and from her incredible homeschooling experience, expert herbal knowledge, wildlife tracking ability, traditional craftwork, and more. Kyler is another incredible product of homeschool education. His family started attending Wolf Camp classes in 2013, he completed our Naturalist Mentoring CIT program in 2015, and began assisting lead instructors at camps throughout his Earth Skills Apprenticeship until 2017. His expertise with survival skills, wild edible and medicinal plant knowledge, traditional craftwork, and outdoor leadership may be unsurpassed for a young man of his age. Kyler is a always and consistently and simply a delight and inspiration to be around. Khadyja discovered Wolf Camp when her tried-and-true method of harvesting nettle as a kid, sting free, no longer seemed to work for her as an adult. She was drawn to the technique that Wolf Camp teaches (both practical and respectful), and was intrigued to find courses that expanded on ways to interact with the wilderness that are smart and fun and lasting. 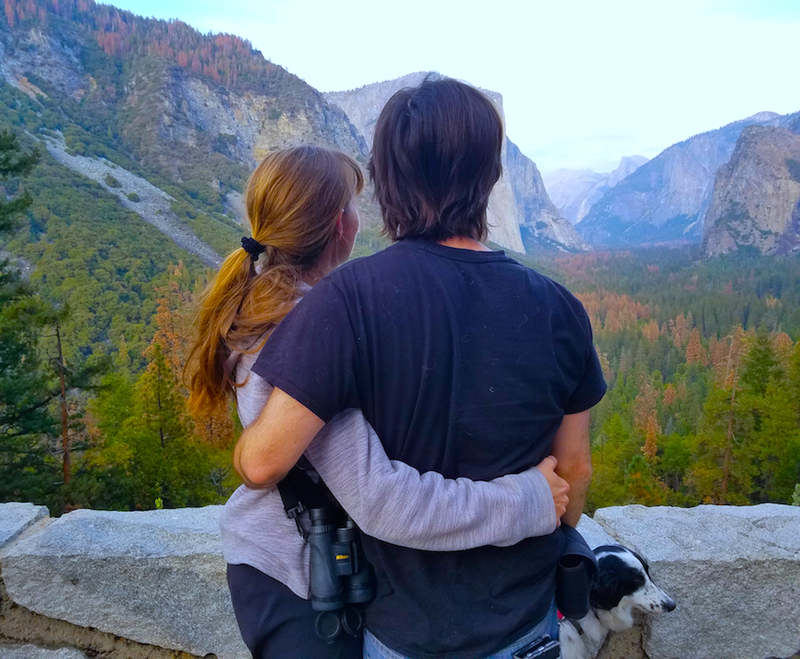 She first took an overnight course in survivalism, then herbalism, and has continued to learn naturalist skills and in and out of Wolf Camp since. She greatly enjoys travel, dance, star gazing, fire-making and of course, spending time in the great outdoors. Caitlin completed the Conservation College Earth Skills Teaching Apprenticeship in 2018 and came to us with a Bachelor of Science in Rangeland Resource Science (Soil Science Focus) from Humboldt State University, among many past training programs. Her coursework there also included conflict resolution, green building, homesteading, as well as botany. Caitlin has been a caregiver for the elderly, an intern and groundskeeper at farms, a restoration volunteer on multiple projects, and is a wonderful teacher of children.